The National School Lunch Program's supplies meals for over 21 million low-income, food insecure children around the country. For many, it is the only meal they will eat all day, so the USDA created specific guidelines to ensure these students are receiving the most nutritious meal possible. The latest federal program concerning standards for school meals is the Healthy, Hunger-Free Kids Act. In its original form, the law authorized the funds to extend current child nutrition programs and free lunch programs for 5 years; updated the nutritional standards to include more whole grains, fruits, veggies, and lean protein; and gave the USDA authority over schools’ nutritional standards and regulations. Plenty of criticism has been leveled at the one-size fits all nature of the law as well as the ability of the government to dictate lunch options. The School Nutrition Association, a corporate sponsored group, has been the most vocal opponent of the act, saying that districts are unable to meet the guidelines and that students are throwing the healthier food away. Despite these claims, a Food Resource and Action Center study found that the low-income students who are the focus of the National School Lunch Program are receiving more benefits from the new law, and the USDA reports that 95% of schools have been able to meet the program requirements. It is possible to get students to eat healthier foods. Schools who have successfully implemented healthier options have done so by slowly introducing these items to students, introducing wheat bread one day and a new vegetable a few weeks later. If no one introduces today’s kids to whole grains, different fruits and veggies, and new foods, the odds of them trying anything new greatly diminishes as they grow older. If we roll back efforts to introduce kids to healthier foods, we will leave our next generation at a serious disadvantage. Yes, schools have a responsibility to feed their students a healthy lunch. In a perfect world, school lunches wouldn’t require students to drink low fat milk and to prioritize grains rather than promoting the lush nutrition and healing power of vegetables and fruits. Food education is often ignored. We have found that many young students can’t even identify common vegetables. But education can make a big difference in the quality of food a child chooses and their willingness to try new foods. How many of the schools serving local food are telling the students what they are doing and what the benefits are? Teaching children how to cook fresh food and how to plant and tend a school garden lays a foundation of healthier attitudes toward food and nutrition. But why should our schools be the only ones introducing children to healthy foods and teaching them how to eat? Let them cook with you. Even if something is ghastly, kids are much more likely to try it and like it if they are the ones who put in the work. Smoothies are a great way to slowly introduce veggies to resistant kids. A great nutrition powder can be a great addition to those. Turn your little one into a gardener. Gardening will get them outside, teach them patience and responsibility, and get them excited about what they’ve created. Keep offering new foods. Maybe the cauliflower wasn’t successful last time, but that’s no reason not to try it again later. Lastly, be the example! This is so important, because kids are naturally interested in what adults are doing. If your little one sees you snacking on and enjoying carrots and kale chips, they are that much more likely to have positive association and be willing to try them. Here’s an ultra healthy smoothie that’s kid approved: http://www.organiclifestylemagazine.com. For more information on healthy eating, check out the first two sources below. Kristina works at Green Lifestyle Market. A few years ago Kristina was no stranger to illness, but she decided to pursue health and vitality through natural means when she became pregnant. She quickly learned that she could prevent morning sickness and other common ailments other pregnant woman experienced with the right diet. After a healthy home birth, and a beautiful child, she never looked back. Kristina has not had so much as a cold since, and at two years old and unvaccinated, neither has her child. She’s passionate about natural health, environmental conservation, and raising her healthy baby without pharmaceuticals. WASHINGTON — High-poverty schools would have a harder time qualifying for federal assistance to offer free meals schoolwide under a proposal by Rep. Todd Rokita, R-Indianapolis. The bill, which a House committee will vote on Wednesday, would raise the share of a school’s students who must be receiving other government aid in order for the school to be eligible to provide meals to all students. Those schools would still be able to provide free meals to students who qualify on an individual basis. Rokita said the change would target assistance to those most in need, and the savings would be redirected to other nutrition programs for school-age children. The savings would amount to about $1 billion over 10 years. The change would affect about 120 Indiana schools — including at least 14 in Marion County — that serve nearly 58,000 students who would no longer qualify for a schoolwide free meal program, according to the Center on Budget and Policy Priorities in Washington. Indiana school officials using the program, known as community eligibility, said it has helped the families they serve. Sara Gasiorowski, director of child nutrition for Wayne Township Schools, with 11 schools participating in the program, said breakfast and lunch are important parts of the academic day for students. Students qualify for free meals if their family income is less than 131 percent of the federal poverty level — about $31,800 for a family of four. Students in families with incomes up to 185 percent of the poverty level receive meals at a reduced cost — no more than 40 cents for lunch and 30 cents for breakfast. Students can automatically qualify for a free or reduced-price meal if their family is already receiving certain other types of government assistance, such as food stamps. Otherwise, a student’s family has to show a school their income is low enough to be eligible. When Congress reauthorized the school meal program in 2010, lawmakers allowed schools to offer free lunches to all students if at least 40 percent of their students automatically qualified for assistance. Rokita wants to raise that threshold to 60 percent. “Before you get reimbursed as a school for giving everyone lunch … let’s make sure a majority of them actually qualify for it,” he said. Although a 40 percent threshold might sound low, it refers only to students who automatically qualify for subsidized meals, said Zoe Neuberger, a senior policy analyst at the Center on Budget and Policy Priorities. In schools that meet that bar, about two-thirds of the students would qualify if administrators checked household income levels. Before the community eligibility program, about 70 percent of Fort Wayne Community Schools’ students qualified for free or reduced-price meals. But district officials think a number of other families were either close to meeting the requirements or chose not to fill out the paperwork to receive assistance. Not having to process student applications or monitor eligibility status in the lunch line saves schools’ resources, advocates say. Per meal costs also can be cheaper through economies of scale by feeding more kids. And serving free meals to all students can remove the stigma some might feel by applying for a subsidy. Still, not all schools that are eligible for the program use it. That could be because they won’t save enough money to offset the cost of feeding more kids, since the federal government doesn’t pick up the full cost of the meals for all participants. Or schools could still be monitoring the program, which has been available nationwide for just two years. In Marion County, the schools now offering free lunch to all students are Vision Academy-Riverside, The Challenge Foundation Academy, Arlington in Indianapolis Public Schools and 11 Wayne Township schools, according to the Center on Budget and Policy Priorities. 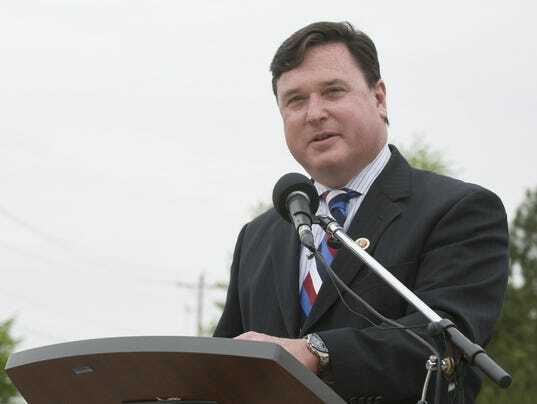 Rokita said any extra paperwork required for schools going back to the old system would be offset with the flexibility his bill would give them on meeting the tougher nutrition standards set by the 2010 law. About 60 percent of the more than 760,000 Indiana students who participate in a school lunch program receive a free or reduced-price meal, according to the most recent statistics available from the Food Research & Action Center. Cynthia Hubert, president and CEO of Gleaners Food Bank of Indiana, said she’s concerned about any change that could make it harder for students to get fed at school. One in seven Hoosier households was “food insecure” in the three-year period 2012-14, meaning they had difficulty at some point providing enough food for all family members, according to the Agriculture Department. Federal spending on child nutrition programs — the largest of which are the school meal programs — has more than doubled since 1990, even after adjusting for inflation. Reasons include population growth, higher reimbursement rates to schools and policy changes. Spending could grow an additional 26 percent in 10 years because of expected increases in food prices and demographic changes, the nonpartisan Congressional Budget Office estimated last fall. The savings from the change Rokita proposes would be spent on improving the summer meals program and increasing schools’ reimbursement rate for the breakfast program. “We can make investments in all of the programs,” she said. WASHINGTON — House Republicans on Wednesday weighed legislation that could lower the number of students receiving free and reduced-price meals at school. Legislation debated by the House Education and Workforce Committee aims to save money by scaling back the number of schools in which all students receive free or reduced meals. It would also help schools that say the Obama administration’s healthier meal rules are too restrictive and not appealing enough to students. A proposed Republican amendment to the bill would go even further, allowing a trial period of so-called block grants for school meals in three states. That would mean those states wouldn’t receive unlimited federal dollars for students who qualify for the free and reduced-price lunches.Hunger and nutrition advocates from the American Academy of Pediatrics to the American Heart Association have sharply criticized the legislation. “The bill would significantly weaken access to healthy, nutritious foods for our nation’s children,” said Dr. Benard Dreyer, president of the pediatrics group. 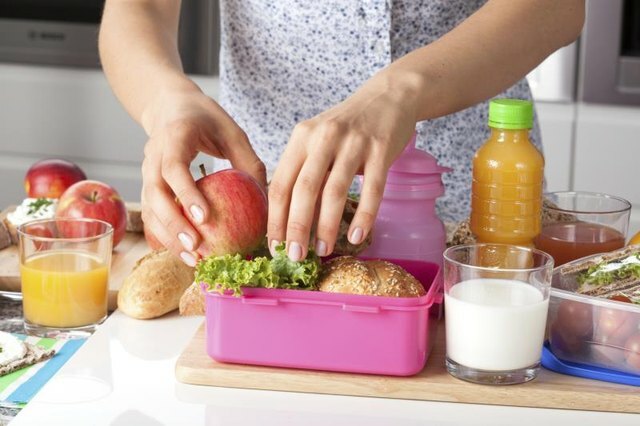 The block grant provision, included in an amendment by Rep. Todd Rokita of Indiana, even prompted opposition from the School Nutrition Association, which has called for major changes in the school meal standards put in place in recent years and championed by first lady Michelle Obama. The group, which represents school nutrition directors and the companies that sell food to schools, called the block grant idea “reckless” and said it would be a first step toward eliminating the federal guarantee that all children have access to the nutrition they need at school. Republicans said the changes would help save money while ensuring that those with the highest need are still guaranteed meals. The committee was scheduled to vote on the amendment and the overall bill on Wednesday. Republicans, including Rokita and committee chairman John Kline of Minnesota, said the changes would help save money while ensuring that those with the highest need are still guaranteed meals. The bill would raise the threshold for a government program called community eligibility, in which schools in districts with high poverty rates can provide free meals to all students at the school. Republicans said it would better target taxpayer money by scaling back free meals for the some of the students that attend those high-poverty schools, but don’t qualify for free or reduced meals. They noted that the bill also provides an increase in federal reimbursements for school breakfasts. “This is hardly unreasonable and it’s hardly unfair,” said Rokita. The bill would allow a wider variety of foods to be sold in lunch lines, an attempt to provide flexibility to schools that have complained that the Obama administration’s standards are too strict. The partisan split on the House panel was in contrast to a bipartisan Senate compromise. With the support of Democrats, the GOP-led Senate Agriculture Committee passed legislation in January that would ease requirements for whole grains in school meals and delay a deadline to cut sodium levels. The House bill goes much further. The healthier school meal rules that have been phased in since 2012 and set fat, sugar and sodium limits on foods in the lunch line and beyond. They require more whole grains, fruits and vegetables. Schools have long been required to follow government nutrition rules if they accept federal reimbursements for free and reduced-price meals for low-income students, but the new standards are stricter. Controversial federal legislation to limit funding for subsidized school lunches and change some of the program’s nutritional standards passed a House committee on a 20-14 vote May 18, and the proposal is being hammered by critics who believe it would endanger the health of American school children. kids-school-lunch-iphoneThe bill’s sponsor, U.S. Rep. Todd Rokita (R-IN), said that his “Improving Child Nutrition and Education Act of 2016” (H.R. 5003) will save money and give schools more flexibility to meet nutritional standards. H.R. 5003, if passed by both houses of Congress, would allow the Secretary of Agriculture to conduct block grant pilot projects on the state level to test alternative certification and food delivery procedures under the bill and then evaluate these projects after three years. Under Rokita’s bill, the current requirement that free meals may be offered when at least 40 percent of the students at a given school already get some types of government help would be raised to at least 60 percent. Democratic members of the committee and others are criticizing Rokita’s bill for what they see as a plan to cut back on the availability of free and reduced-price healthy meals for needy children. U.S. Rep. Bobby Scott (D-VA) called H.R. 5003 “more representative of child nutrition policy out of ‘The Hunger Games’” as he tried to have the legislation renamed for that popular film. However, his proposal was voted down by the GOP-led committee. Among the groups which have issued statements opposing the legislation are the School Nutrition Association (SNA), American Academy of Pediatrics, American Heart Association, Center for Science in the Public Interest (CSPI) and the Food Research & Action Center. SNA President Jean Ronnei stated Wednesday that while changes are needed in the school lunch program, H.R. 5003 is not the appropriate vehicle to get those done. “Although the House bill provides a much appreciated and necessary increase to federal reimbursements for school breakfast, portions of the bill will cause irreparable harm to federal school meal programs,” she stated. CSPI indicated support for a bipartisan Senate legislative approach instead and asserted that H.R. 5003 would return junk food to U.S. schools. “The bill would weaken the Fresh Fruit and Vegetable Program, allowing schools to substitute chips, sugary fruit snacks and trail mix for the fresh fruit and vegetables they now get as snacks through the program, and make it more difficult for low-income students to receive free meals,” CSPI stated. Supporters say the bill’s estimated $1-billion savings over 10 years would be applied to other nutritional programs for children and that changing the program’s nutritional standards would result in children being offered food they actually like and will eat instead of food the government thinks they should eat. By Mary Pickels | Saturday, March 5, 2016, 11:00 p.m.
Students at Penn-Trafford High School aren’t buying that lunches prepared under federal guidelines that restrict calories, sodium and portions are their best option. So they literally are not buying them. Penn-Trafford’s lagging lunch sales are part of a state and national trend since menu restrictions were tightened, federal statistics show. School lunch participation nationally dropped from 31.6 million students in 2012 to 30.4 million in 2014, according to the federal Department of Agriculture. Pennsylvania statistics show school lunch participation dropped by 86,950 students in the same two years, from 1,127,444 in 2012 to 1,040,494 in 2014. As a solution to slumping sales, Penn-Trafford officials may opt its high school out of the National School Lunch Program, which limits meal choices, allowing them to put favorites like Pizza Hut pizza back on the menu. Lago and other critics of the federal program say it can be wasteful — requiring students to take a fruit or vegetable they don’t want and won’t eat, for instance. Limits on menu choices and reduced portions — especially for high school students used to buying unrestricted lunches — also mean fewer sales. “I think this may be a trend, going forward: Districts are going to want to step back from the program,” Lago said. National and state numbers show the trend is in its infancy. About 100,000 U.S. schools could participate in the program, and 524, or half of 1 percent, opted out in 2013-14, according to the most recent USDA figures. In Pennsylvania, 34 of 858 districts pulled at least one school out of the program in 2015-16, according to USDA spokesman Chris Kelly. A limiting factor in opting out is that districts lose federal meal subsidies when they do. Federal reimbursement rates this year are $3.07 per meal for students who are income-eligible for free lunches; $2.67 for those who qualify for a reduced price; and 29 cents for all others sold. For Penn-Trafford — about 200 of the high school’s 1,350 students qualify for free or reduced lunches — that means a loss of about $100,000 annually in federal subsidies. Lago said he is “cautiously optimistic” that offering a new menu at a slightly higher cost, plus increasing a la carte sales through a broader selection of foods, could compensate for the federal shortfall. Allegheny County’s South Fayette High School used that formula to success after pulling the plug on the National School Lunch Program in the 2014-15 school year, though it had to make up only $20,000 yearly in federal subsidies. Food service director Tricia Woods said 95 percent of students now buy their lunches from the school. “The kids love it. The percentage is high for participation,” Wood said. Wood said much of the menu is still rooted in federal nutritional guidelines, especially those set before further restrictions called Smart Snacks in Schools were added in 2014. “Being off the program doesn’t mean you are just going wild,” she said. The school’s basic lunch menu price is $2.30; fruits and vegetables are provided, not mandated, Wood said. Manheim Township High School in Lancaster County was among a handful of schools in Eastern Pennsylvania that dropped out of the federal program in 2013. Food service directors there all said student participation lagged as more restrictions were added in each year after the Hunger-Free Act was passed. “We were comfortable with the guidelines until 2013,” said Manheim food services director Gavin Scalyer. But with the district’s free- and reduced-price-eligible student population growing to 28 percent, Scalyer said, even offering a lucrative and popular a la carte menu may not be enough to cover lost federal subsidies, so Manheim is considering whether to reenter the program. “Every school district wants to ensure that students from low-income families have access to free meals at school, so dropping out of the federal program means taking on the cost of providing those free meals,” said Diane Pratt-Heavner, School Nutrition Association spokeswoman. At private schools with few or no free-reduced lunch students — such as Sewickley Academy in Edgeworth — the decision not to participate in the federal program can be easier. But public schools would have difficulty offering a menu of Cajun chicken pasta and beef stroganoff at a price of $5.95, as is offered at Sewickley. Metz Culinary Management, the food service provider for Sewickley, also serves Franklin Regional School District in Murrysville and Riverview School District in Oakmont, Allegheny County. Prices for lunches at those schools are $2.55 and $2.50, respectively. At Penn-Trafford, food service provider Aramark is expected to present options and costs outside the federally regulated program to the school board this month. Lago said the board likely will decide by April whether to opt out of the federal program in the fall. “The board will decide if it makes sense to try it. 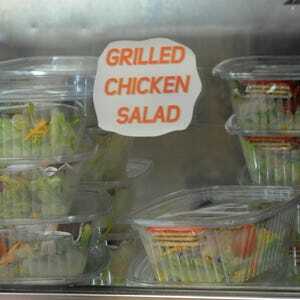 We would still offer healthy lunches, but we wouldn’t be hamstrung,” Lago said. Mary Pickels is a Tribune-Review staff writer. Reach her at 724-836-5401 or mpickels@tribweb.com. Last week, Congress passed a last-minute spending bill to keep the government’s lights on for the next three months, but they let the Child Nutrition Act expire. While the emergency funding bill covers school lunch, school breakfast and other critical nutrition programs for kids, our nation’s students need more than a stopgap approach. Because no matter how you look at it the numbers add up, the science is clear, and history tells us: an investment in our kids’ health is a wise and necessary one. Let’s start with the math: One in three of our nation’s kids is overweight or obese, and as a country we spend $190 billion a year in medical costs to fight this epidemic. But these costs aren’t just incurred by health insurance companies; they’re a major burden on taxpayers. The biggest single driver of our national debt is health care spending through Medicare and Medicaid. Research has shown that spending would be much lower for these programs – 8.5 percent and 11.8 percent respectively or $103 billion in 2014 alone – were it not for obesity. This cost will only increase as our nation’s “obesity generation” grows up. In 2030, direct medical expenses attributed to diet-related disease will hit an annual cost of $66 billion per year, and the overall loss in economic productivity could be as much as $580 billion annually. A file photo of a school cafeteria. What science tells us about the obesity epidemic is just as worrisome. The research paints an alarming portrait of obesity’s effects on a child’s health, happiness and human potential. In the near term, an obese child will have fewer friends, miss more days of school and score lower on tests. As she becomes an adult, she will be less likely to go to college, be out sick more at work and under perform in her career. Before her life is over, she can be expected to battle weight-related illnesses – heart disease, diabetes, cancer or all three – and to raise children who themselves face elevated risks of obesity, sending the spiral into another downward turn. Making matters worse,diet-related disease takes a disproportionate toll on low-income children and children of color, erecting another barrier in our nation’s fight for equity and opportunity. Thankfully, recent history demonstrates how we can begin to address the problem. The 2010 version of the Child Nutrition Act, known as the Healthy, Hunger Free Kids Act, was a bipartisan and particularly health-supporting version of the every-five-years bill that funds our nation’s school meal programs. It set high standards for school meals around whole grains, fruits, vegetables and proteins, an essential step toward treating our nation’s epidemic of diet-related disease for the 31 million children who eat school food. Implementation of these ambitious standards has been challenging, but in districts where they have been met with creativity, resourcefulness and hard work, students have embraced the healthier diet they are being offered. And it’s paying off: it appears the obesity epidemic is finally beginning to reverse. MSG: Scary food additive or new EMs bellwether? Green schools—better for kids’ health? The organization I co-founded, FoodCorps, launched alongside the Healthy, Hunger Free Kids Act five years ago. Through hands-on nutrition education in the classroom, gardening and cooking lessons in the schoolyard, and kid-led taste-tests and recipe development in the cafeteria, FoodCorps leaders have partnered with farmers, teachers,parents and food service teams to help some 500 schools become healthier places for kids to eat, learn and grow. The combination of garden-based education and improved school meals is rooted in a research-backed approach to connecting children to healthy food, known as “farm-to-school.” In addition to raising school meal standards across the board, the Healthy, Hunger Free Kids Act also supported farm-to-school grant funding at $5 million a year. Now, with research showing that the farm-to-school approach works and the demand for the program five times greater than Congress originally earmarked, a bipartisan group of U.S. Senators and Representatives has stepped up with a call to increase the program’s funding to at least $15 million annually in this year’s Child Nutrition Act. When Congress debates the upcoming Child Nutrition Act, they will decide what our children eat in school for the next five years. Congress’ role as our nation’s Lunch Lady must be taken seriously. With this vote, our legislators have an opportunity to stand firm and protect the high standards for fruits, vegetables, grains and protein that have made school lunches healthier, and to scale up the funding for farm-to-school initiatives that have gotten millions of kids excited to eat healthy food. In passing a bipartisan bill that takes another step forward in the fight for healthy kids, Congress has a chance to give voters just what they want; a recent poll by the W.K. Kellogg Foundation showed that 86 percent of Americans want school nutrition standards to be strengthened or maintained, and 88 percent support increased funding for farm-to-school programs. Congress also has a chance to show that they’ve done their homework and learned a fundamental lesson: healthy food is a building block for health, opportunity and human potential––and every child deserves it. Curt Ellis is the co-founder and CEO of FoodCorps, a nationwide team of AmeriCorps leaders who connect kids to healthy food in school. What Are the Benefits of Healthy School Lunches? As part of the Healthy, Hunger-Free Kids Act established in 2010, the National School Lunch Program’s policies were revised to better guarantee that children receive a nutritionally sound lunch. The changes ensure that schools offer fruits and vegetables, whole-grain foods, low-fat dairy products and limit calories, saturated fat and sodium. 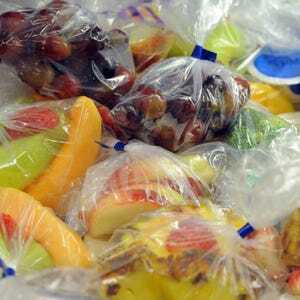 As a parent, you can follow these same guidelines if you pack your child’s lunch. A healthy school lunch provides sound nutrition to establish a lifetime of healthy habits and the energy your child needs for the rest of her busy day. It’s vital your child eats a healthy lunch, because lunch provides one-third of his daily calories. You want to make those calories count by offering nutrient-dense foods. Children who eat a healthy lunch have a higher nutrient intake not only for lunch but also for the entire day — compared to children who don’t — according to the website, Fuel Up to Play 60. If your child’s school gets federally reimbursed for school lunches, rest assured that his lunch is providing him with one-third of his daily needs for protein, vitamins A and C, iron and calcium, which are critical nutrients often lacking from a child’s diet. The American Heart Association recommends children get no more than 25 to 35 percent of their calories from fat, with most fat coming from polyunsaturated and monounsaturated fats. Think nuts, fish and vegetable oils as opposed to pizza, cake and cookies. This is enough to support normal growth and development, and to meet your child’s energy needs while supporting sound heart health — for now and the future. A healthy school lunch limits fat to less than 30 percent and saturated fat to less than 10 percent of overall calories over the course of a week. Dr. Dan Taber, an investigator for the research program, Bridging the Gap, told the Robert Wood Johnson Foundation that providing children with healthy foods at school is a key step in decreasing childhood obesity rates. School menus or foods from home that are high in saturated fat can lead to obesity and associated health conditions, which include diabetes and high blood pressure. Healthy options, such as high-fiber foods, whole-grains, fruits, vegetables, legumes and low-fat dairy products, will fill up your child and keep him full longer. This can prevent unwanted weight gain and chronic health conditions. When children don’t eat a healthy lunch, it’s harder for them to concentrate at school and to muster the energy for after school activities. They’re also more likely to reach for unhealthy snacks later in the afternoon. By offering a healthy school lunch, your child will get the energy he needs to power through the afternoon. A study published in 2008 in the “Journal of School Health” examined the eating habits of nearly 5,000 school children. Children who ate more fruits, vegetables and protein and fewer calories from fat, performed better on literacy tests compared to children with a high-fat, high-salt diet. Author anuruddhaPosted on May 16, 2016 Categories Nutrition Softwares, School Lunch Software2 Comments on What Are the Benefits of Healthy School Lunches? This program, which has been in existence since 1946, provides reimbursement for lunches served to students enrolled in twelfth grade and under in public and private, non-profit schools. Reimbursement is provided at three levels: free, reduced price, and full price (or paid). Families may submit applications to receive free or reduced price meal benefits. Because the program is a federal entitlement program, meaning that the government guarantees that all program meals properly claimed for reimbursement each month will be reimbursed, there are extensive regulations governing most aspects of program operations in order to assure that meals claimed for reimbursement are truly eligible for payment. At the federal level the program is administered by the US Department of Agriculture (USDA). In addition to federal reimbursement schools that participate in the National School Lunch Program also receive a State Match payment once a year and receive federally-provided commodity foods as well. In general, these commodities represent 10-12% of foods used in school meals programs. The remainder are purchased through regular supply channels. In Vermont, the state legislature passed Act 22 in 2003 which requires that public schools participate in the National School Lunch Program and the School Breakfast Program unless the school board, at an annual or regularly warned meeting, holds a public discussion of the program and subsequently votes to exempt the district from the requirement. This program, which has been in existence since the mid-1960’s, provides reimbursement for breakfasts served to students in twelfth grade or under in public and private, non-profit schools. Reimbursement is provided at three levels: free, reduced price, and full price (or paid). Families may submit applications to receive free or reduced price meal benefits. Families do not have to submit separate applications for free school lunch and breakfast. In addition to federal reimbursements, schools that participate in the School Breakfast Program receive a State Match payment once a year. Here is our latest resource to help schools meet the new USDA meals pattern and use fresh and local products in school meals. A collaborative effort between Vermont Agency of Education, Vermont FEED, School Nutrition Association of Vermont, New England Culinary Institute, many local schools, and with the support of Team Nutrition Grant funds, this group created, tested and standardized over 75 recipes that are presented in this book. Give the recipes a try, offer taste tests to your students, and introduce these beautiful and delicious foods to your menus! Bon Appetite. Cookbooks will be distributed to each school along with the Serving up a School Culture of Health, Wellness & Nutrition guide that helps schools programs incorporate nutrition education physical activity in their schools and classrooms. Promising Practices – Serving up a School Culture of Health, Wellness and Nutrition provides lessons learned and recommendations for how to create a school culture that values the important role healthy food, nutrition education and physical activity play in education. Schools play an important role in promoting student health and combating the rising rates of obesity and diet-related illness among children. This effort begins in the cafeteria – the largest classroom in the school – by serving healthy meals and continues by addressing nutrition, health and fitness as part of the overall education of students. This approach requires collaboration among food service staff, teachers, school nurses, physical education teachers, and administrators to bolster food, nutrition, and physical activity choices and educational opportunities that can have lasting impacts on students’ health and ability to learn. This booklet outlines the Nutrition Education Institute model as a process that works to support improving the school health and nutrition environment in schools. The National School Lunch Program’s supplies meals for over 21 million low-income, food insecure children around the country. For many, it is the only meal they will eat all day, so the USDA created specific guidelines to ensure these students are receiving the most nutritious meal possible.